WHAT ARE WHOLESALE LOTS !! 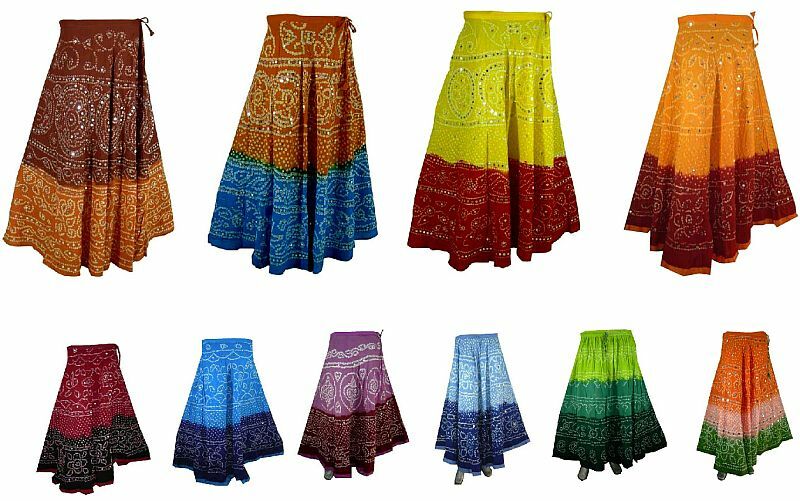 Barmer Accents present tie dye Indian long skirt in wholesale lot . It is accented by evenly placed silver round sequins all over the skirt. This skirt has a relaxed fit for discount sale are free movement. This party skirt is extremely light and flowy, it has a very wide hemline. The sequins shimmer in sunlight and you will sway and dance with every move. Sizes: Waist size S/M/L, larger sizes available, length 36"
Description of Lot: cotton Tie and dye skirts with elastic waist. chord with elastic at waist. various elegant tie and dye patterns for that casual look. in a lot pack of 100 piece we will put in maximum number of colors same and similar to the pics.